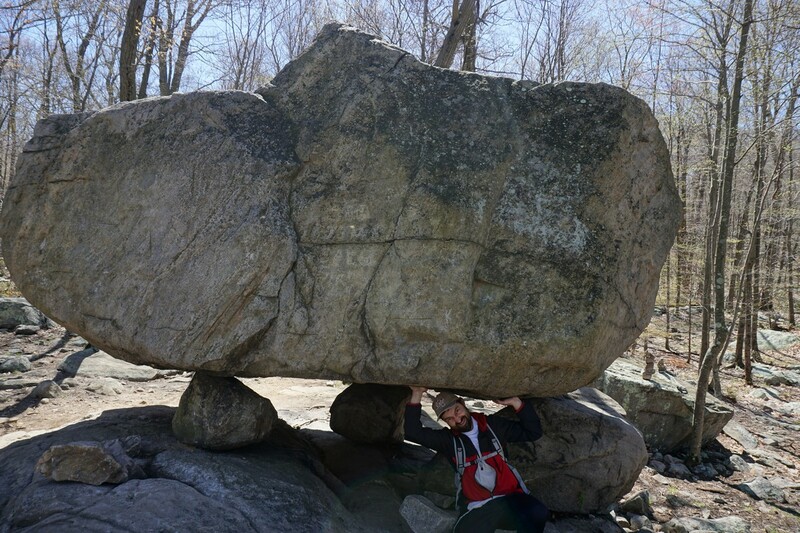 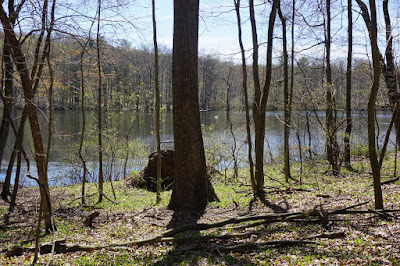 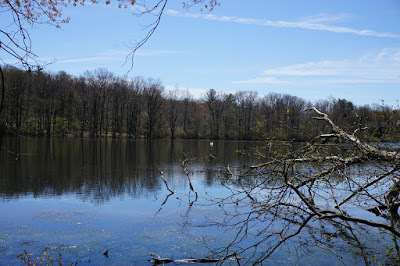 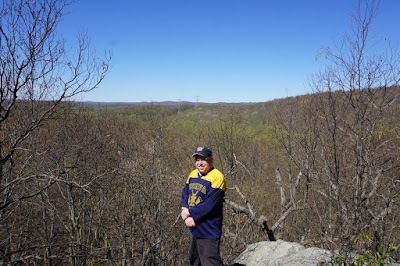 This hike was on a beautiful spring day, with a strong sun, but a bit on the cooler side. 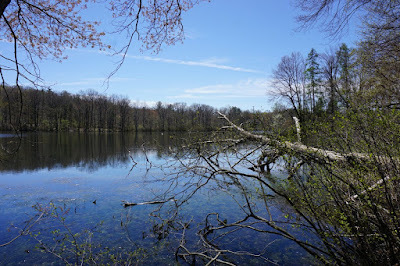 I have never been to this area before, so it was nice exploring the region. 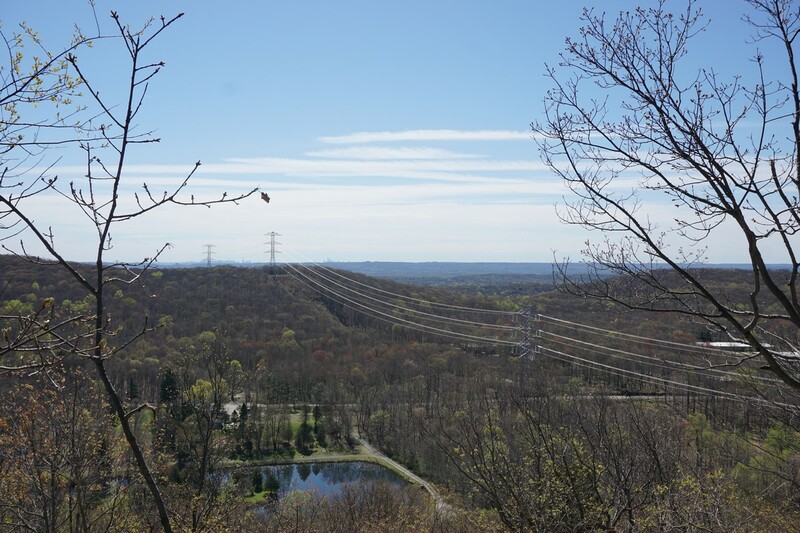 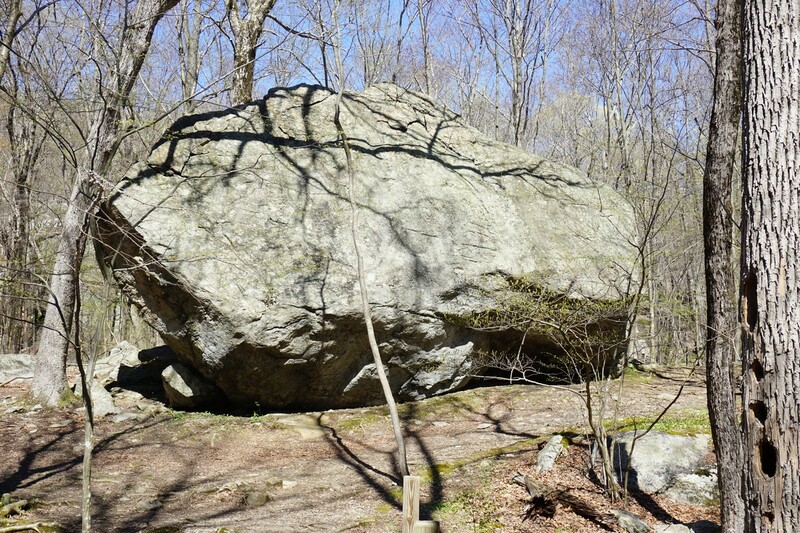 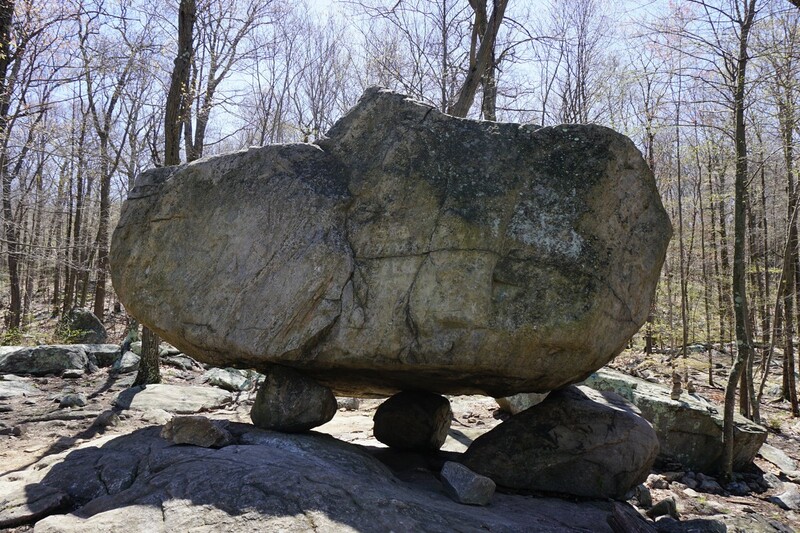 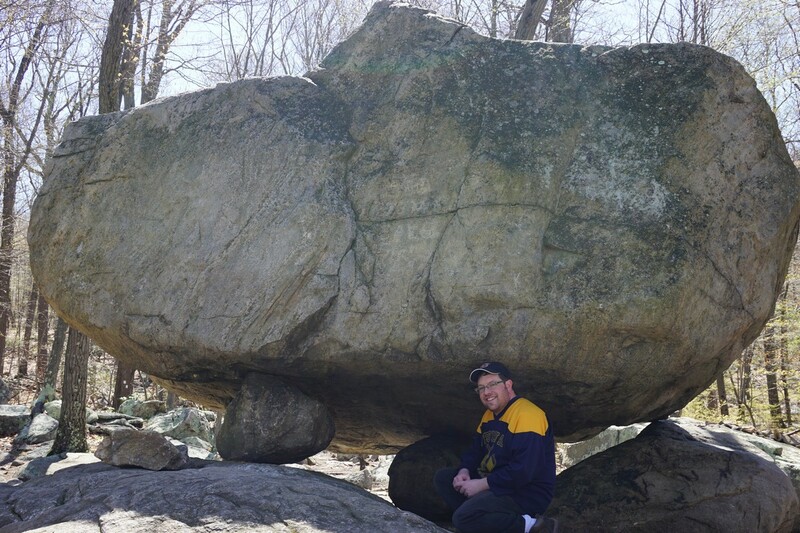 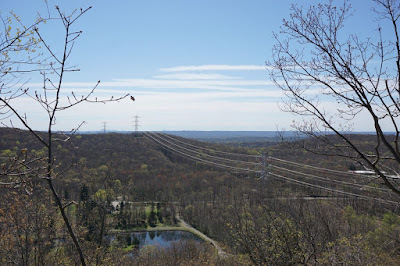 We parked two cars; one we left at the park at Kinnelon Recreational Field at the north end of the Taylortown Reservoir, and the other at the Pyramid Mountain Visitor Center, where we started the hike. 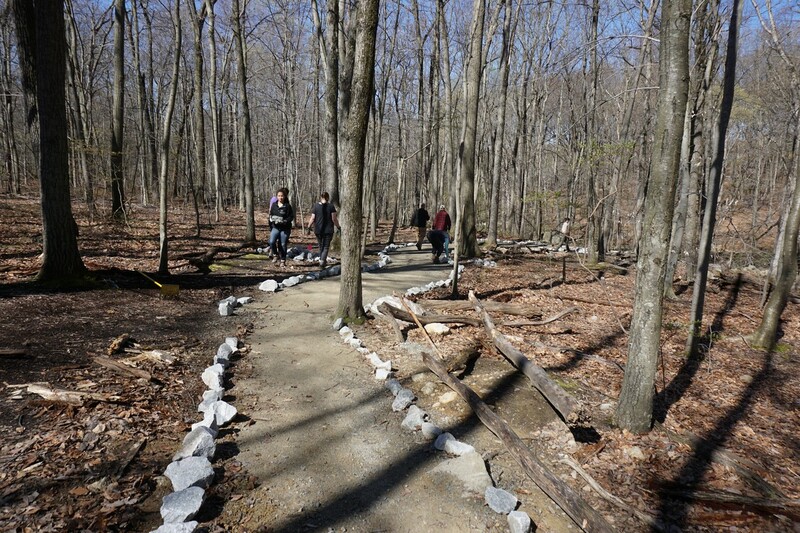 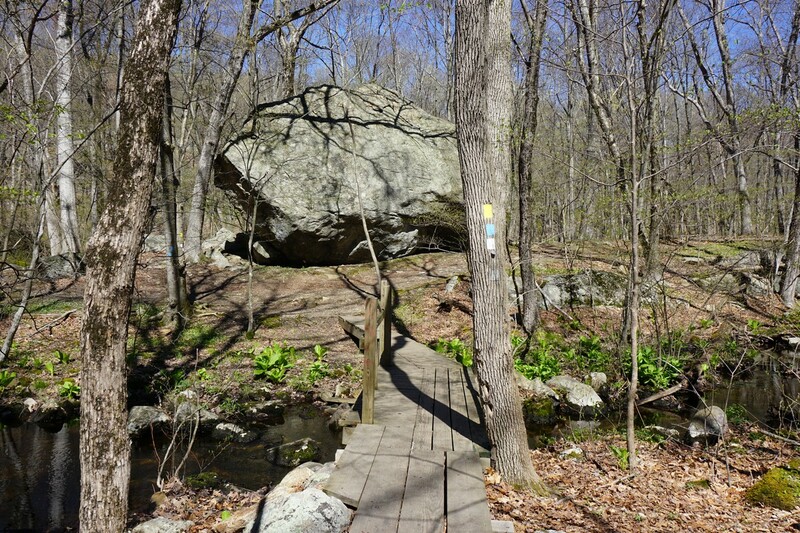 We started on the Mennen Trail, which was being refurbished with a shoulder of white marble rocks by a large volunteer crew. 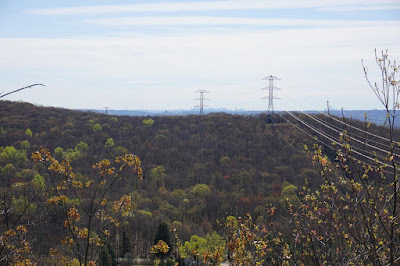 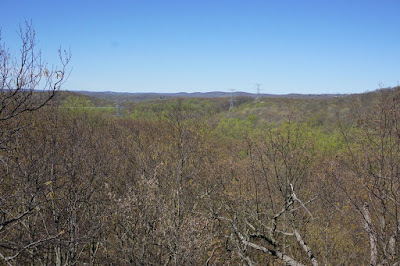 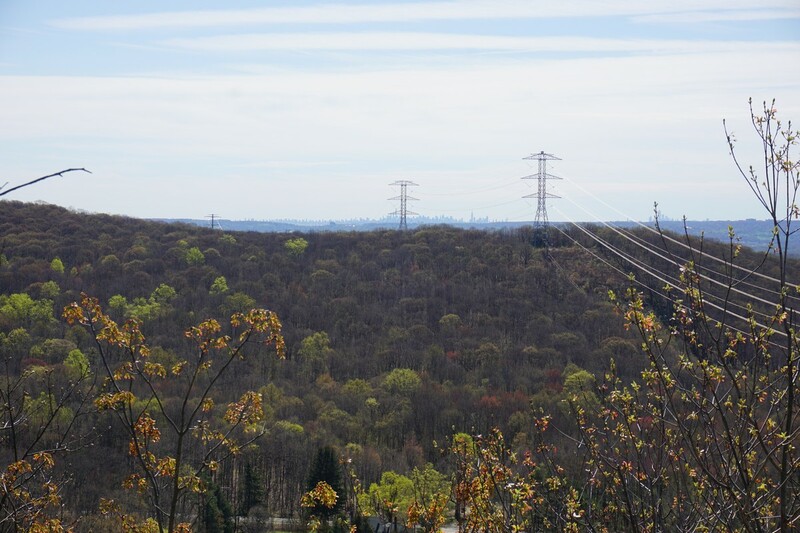 We continued along the path, crossing the stream, the power lines, and then ascending the mountain the view. 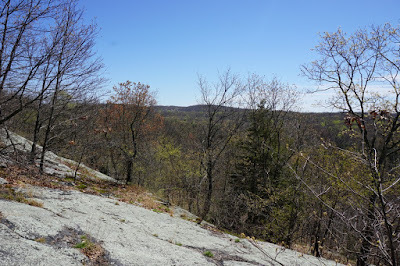 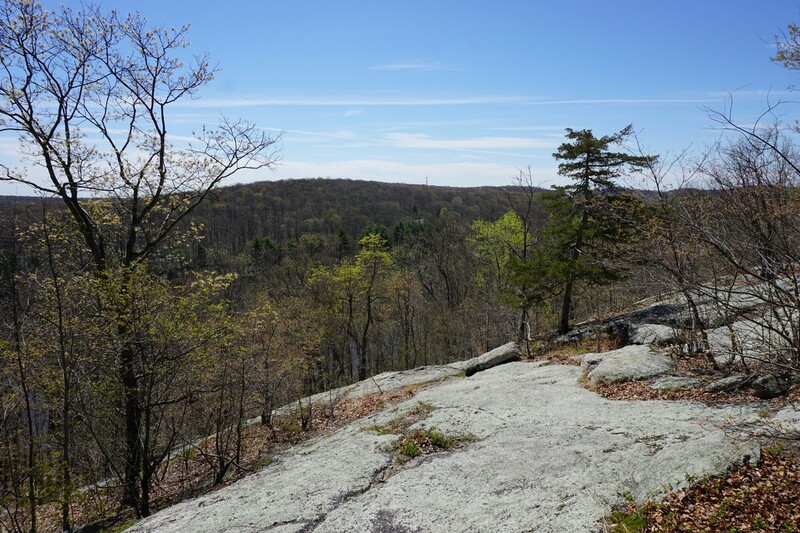 We continued along the trail, until the short spur to Lucy's Overlook, and then went back went down the yellow trail to the large Bear Rock. 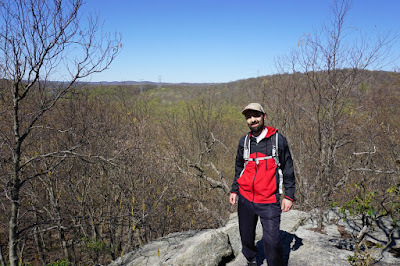 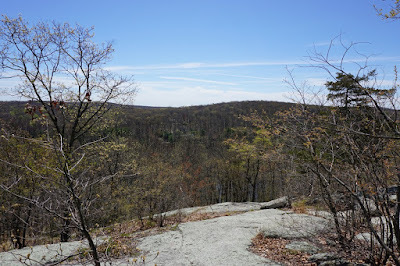 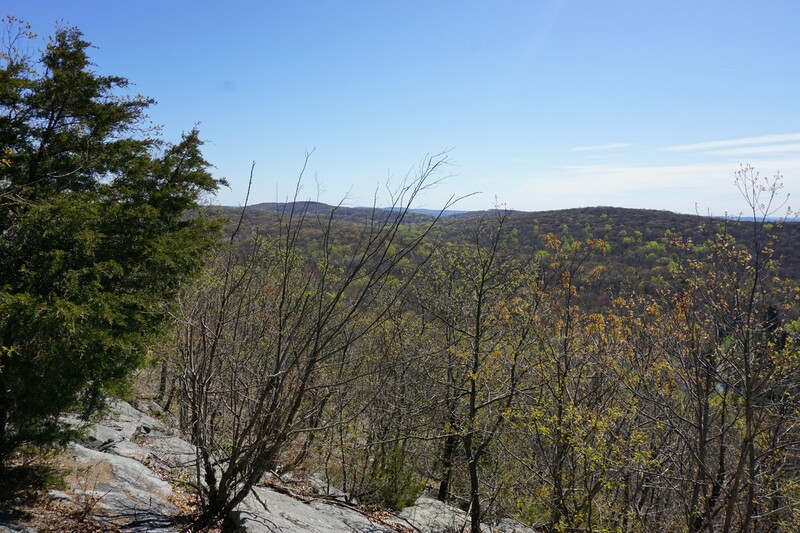 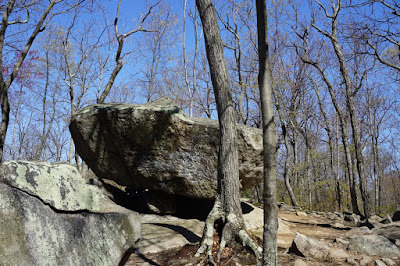 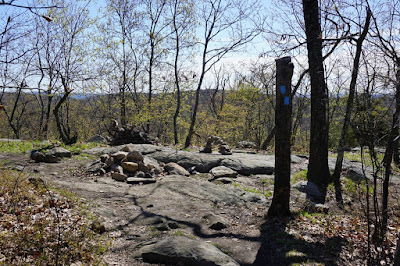 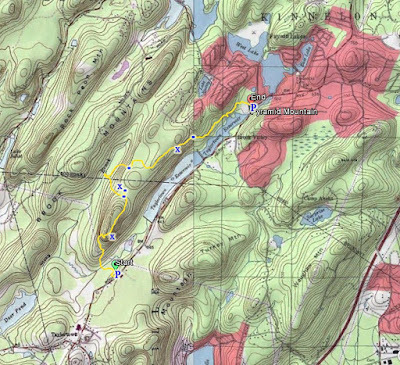 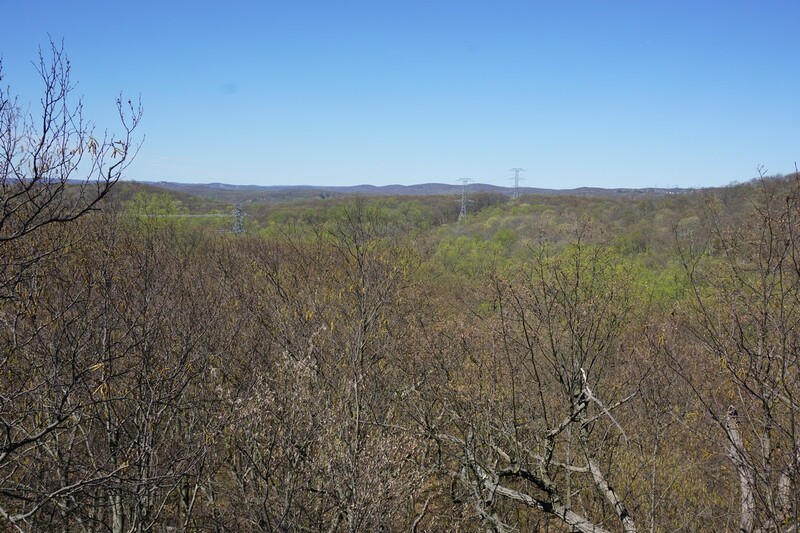 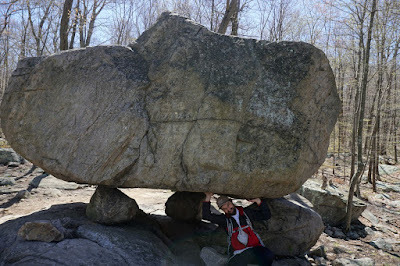 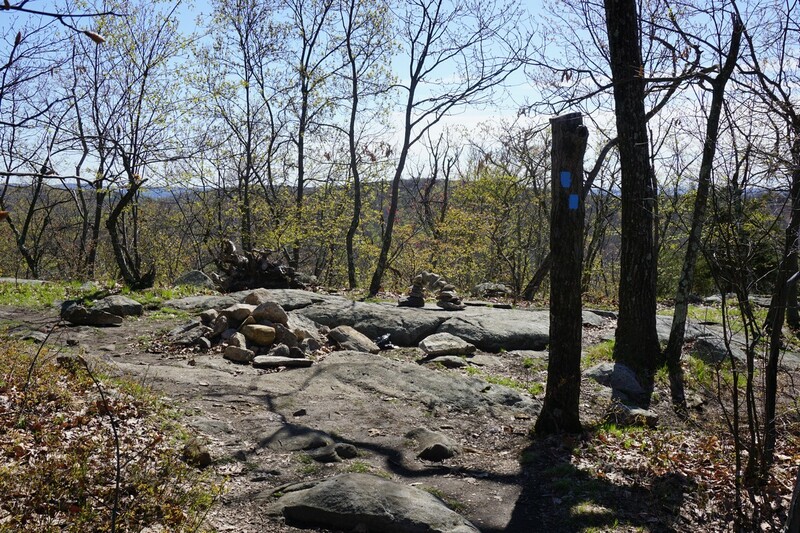 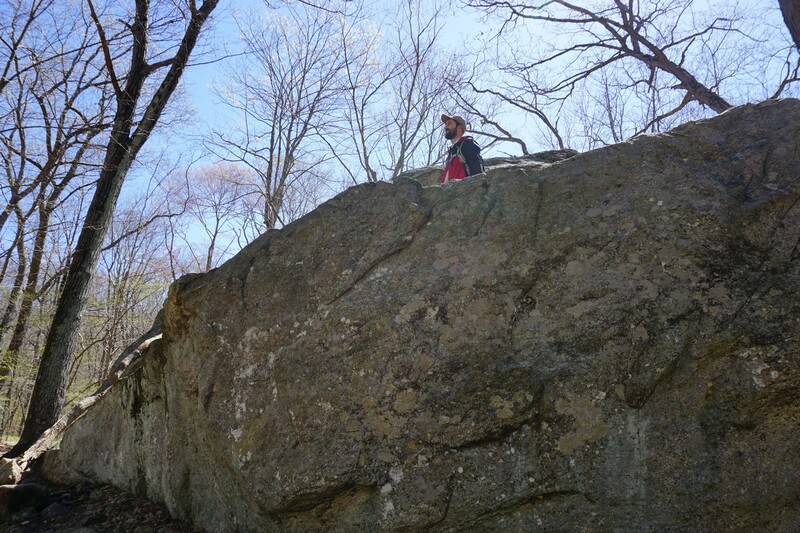 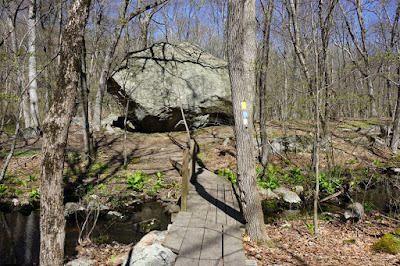 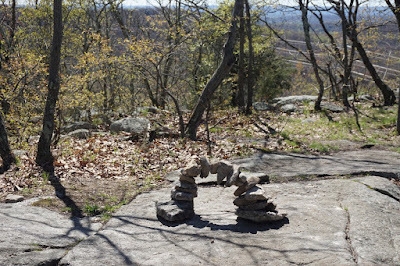 We then went Kinnelon-Boonton Trail with its concurrency with the Mennen Trail up the mountain, and then branched off at the Green Trail, going back to our second car.